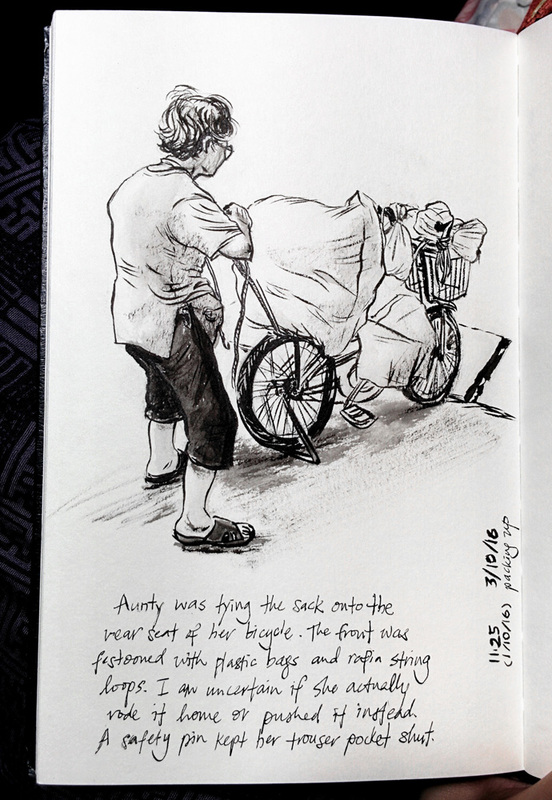 An ongoing exploration of communal wet markets in Penang. 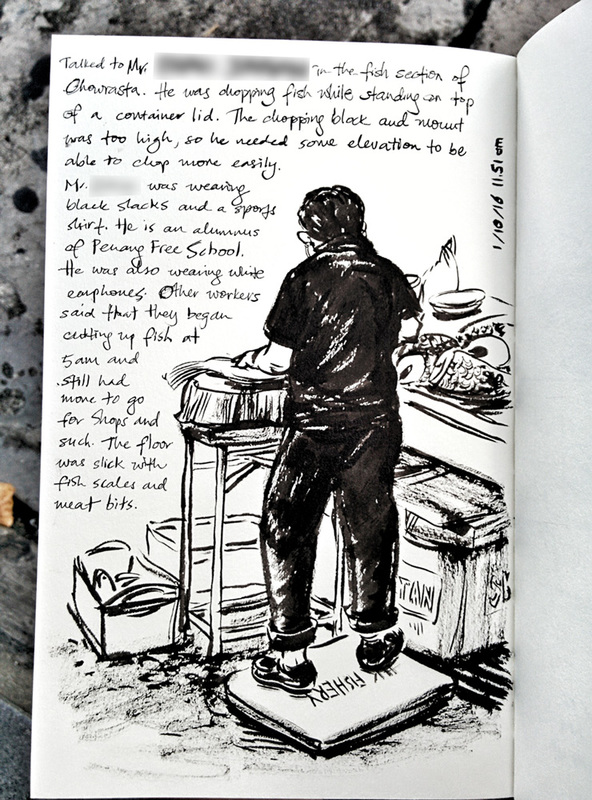 These sketches focus on how vendors and workers carry out their work ergonomically - safely, comfortably, efficiently. Close observation, interviews, and on-site sketching were used to examine the topic. They were done using a Pentel Pocket Brush Pen and a nib for lettering.